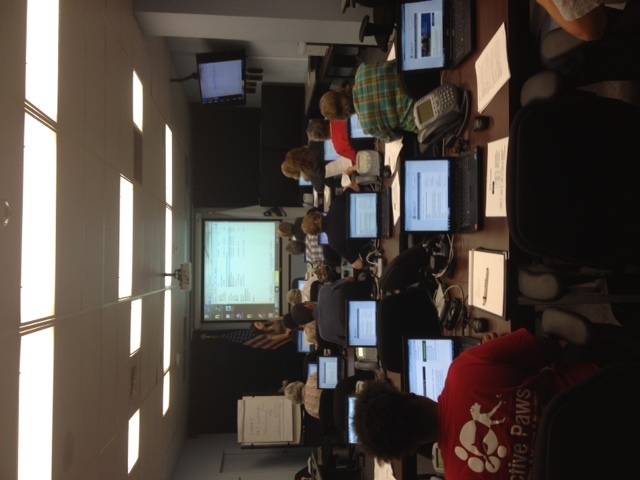 The State of Massachusetts Animal Response team held their first combined ICS100 and NIMS700 Training class at the MEMA bunker in Framingham on Tuesday 26-June-2012. 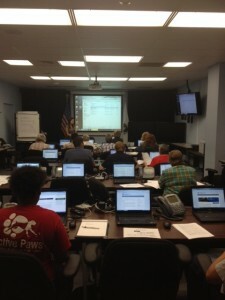 Over 20 new and current volunteers, along with those interested in joining SMART were in attendance. We are happy to report that all of those in attendance passed and received their certifications from FEMA during this 3 hour course. All volunteers for SMART are required to have their certification in ICS100 and NIMS700 in order to be deployed. While these courses are available online through the FEMA website, some find the classroom environment and the opportunity to engage with an instructor more helpful. SMART would like to thank our instructor, as well as Barbara Legatowicz and MEMA for hosting the event in their state of the art training room at the Bunker.